Has Your Showroom Been Punked? 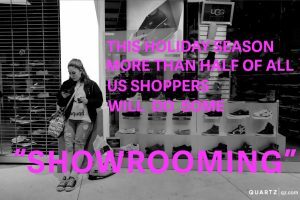 Home/Blog, Customer Service/Has Your Showroom Been Punked? Customers visiting bricks and mortar stores and buying on line. 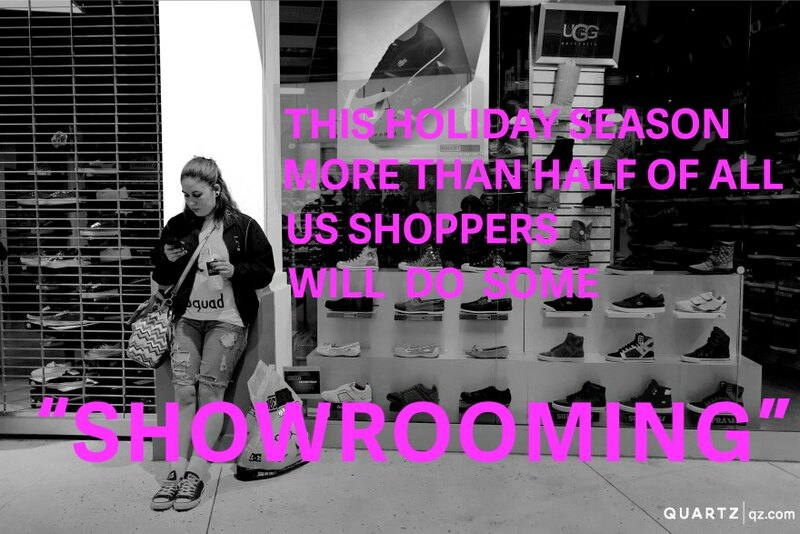 “Showrooming” is the latest revenge of the retail customers. Customers that check out your showroom and find the product on line and of course buy. I don’t think this is anything new but now it has its own name. One study reports that 56% of these customers hadn’t planned on buying on line but the retail store experience was so horrible that they went on line. It’s back to bad customer service. Bad customer service looks different these days: salespeople texting on their cell phones, playing words with friends while working with a customer or Angy Birds! Case in point is a friend of mine who tried to buy from a local retailer but the retailer didn’t want to ship the product. Amazon.com didn’t mind—and at a cheaper price. Want to know how to make your retail experience different? Check out the Apple Store Triple Convergence to see how you can apply the apple experience to your store. Shopping in a retail store should be fun, interesting and inviting. Building an experience is about emotions. Companies like Build-A-Bear build their whole business around feelings and creating the warm fuzzies. How about a showroom and a museum? How you can make the best of a showroom. Vitrahaus-interior design. Okay, so Internet and price-check Smartphone apps have made it easier than ever for consumers to shop on line. Mobile payments are the future, 95 percent of survey respondents have mobile phones, yet just 36 percent have already used them to make a payment. Many consumers also consider mobile payments safer than on line payments. Wondering how to use mobile technology for your business? Interesting case stories from AT&T; how to use mobile technology, and how to keep your competitors up at night. Amazon has reinvented on line shopping, Sucharita Mulpuru, retail analyst at Forrester Research. “Amazon’s whole business is a loss leader.” I can’t believe that I can buy great books sometimes for fifty cents! If you’re going to give stuff away the customer will buy. But unless you’re Amazon you’ll lose your shirt and get the cheapest customers. By the way, I never buy full retail at Amazon. I’m the dollar customer; do you really want me? What about Wal-Mart testing same day delivery? Why compete with the low cost provider? You’ll only lose and if you win, you’ve really lost! I remember a large floor covering retailer in the midwest who told me (1985) that he could buy tile cheaper than The Home Depot and he could put them out of business. He had 10 stores at the time and was a big force in the marketplace. It didn’t matter, in two years he was history. Great customer service moments? Today at the Thruway tollbooth I realized I was out of money. I didn’t have fifty five cents. The toll take said she would pay the toll for me and I should pay it forward. Will she do it for everyone? I doubt it but it made quite and impression on me. I spent t he day looking for a way to repay my debt. I’m still feeling uncomfortable about the debt I owe. WHAT’S THE BEST THING YOU CAN DO TO GET CLOSE TO YOUR CUSTOMERS? Talk to your customers. How about this? Let me share my expertise with you. I will do a free third party assessment of ten of your customers. It will open your eyes to new opportunity for your business. For free! Lisbeth helps businesses build customer loyalty through customer service training and sales training. Her book, Red Hot Customer Service is filled with great ideas for stepping up your customer service. She can be reached at redhotcustomerservice@nycap.rr.com.